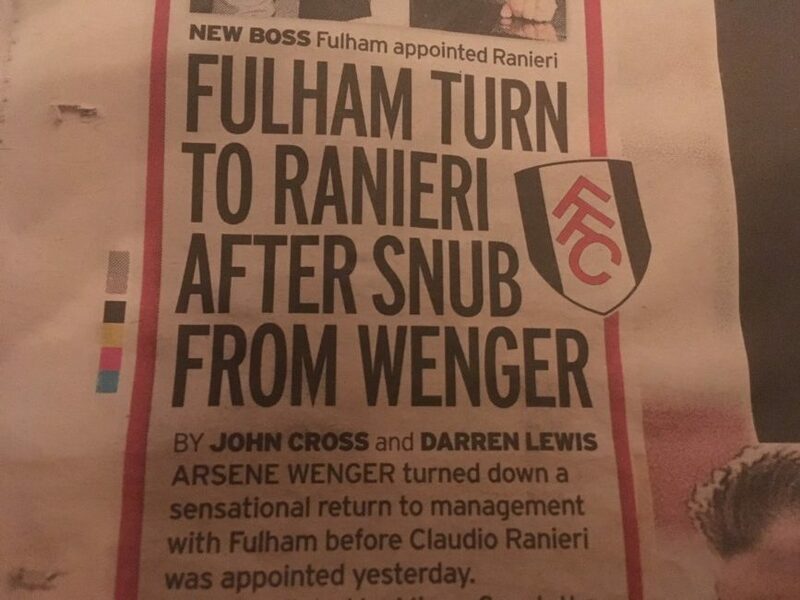 Wenger snubbed Fulham says Daily Mirror. But Wenger was one of the “number” of candidates considered, right? The Daily Telegraph reports that former Arsenal manager Arsene Wenger has turned down the chance to take over at Fulham… The Frenchman, however, “politely declined the opportunity to speak to Fulham”, the Telegraph says. The Times understands he [Fulham owner Shahid Khan] met Claudio Ranieri two days before Fulham’s trip to Anfield but, still hopeful of a miracle so that he could stick by a man he had become very fond of working with, Khan travelled to Liverpool hoping for evidence he could offer Jokanovic a reprieve. 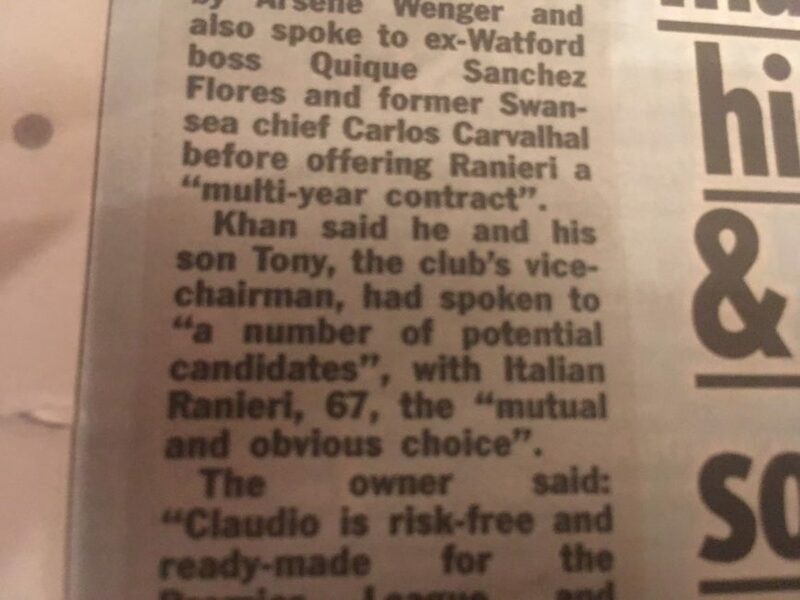 The website Football365 says Rudd also wrote: “Ranieri was the outstanding candidate from a shortlist that did not, as speculated, include the former Arsenal manager Arsene Wenger.” We can’t find that quote on the Times website. Can anyone?